I recently discovered something hugely interesting about pinterest traffic to my most popular blog post on this website, and I wanted to share this information with you. Why? Because it’s easy to copy, free, and has been a turning point for me in terms of getting regular, high quality traffic. First, let me start with some background that led to this discovery. Some of my blog posts have been around for a while, so I have a good idea of what sort of traffic they bring in to the site. A small percentage bring in the lion’s share of the traffic (this is quite common, by the way. If you are struggling with traffic, my advice is to just keep writing more posts. One will hit the jackpot eventually, as it were). I didn’t actively pin for many months, apart from the odd infographic, so I wasn’t paying much attention to Pinterest as a traffic source. I tended to rely more on organic Google traffic, plus Twitter and Instagram (the latter two via list building). When I started actively pinning, it wasn’t long before I saw a similar pattern to my Google Analytics: a small number of posts were receiving a far higher number of pins and clicks than the rest. That’s when I spotted something interesting. The posts with the highest traffic numbers from Google were also the same posts generating the most traffic from Pinterest. So how could this be explained? Well, there’s a simple answer, and it’s this. I really didn’t realised just how important my blog post headlines were until I started pinning. Of course, I’d always taken headlines into consideration, but mainly when it came to using certain keywords for SEO purposes. I’d never really considered headlines from a reader’s perspective. But here’s the critical point. My most popular posts aren’t the ones with headlines optimised for SEO. They are the ones with the best headline. How do I know what makes a good headline? I use a free tool that analyses the headline and gives me a score. And guess what? From all my testing on my own blog posts, there is a strong correlation between a high score and a high traffic post i.e. it works! It’s actually brilliant, and since discovering it I have started using on all future blog posts (plus I’ve rewritten some old ones too – see further down for what that’s done to my traffic numbers). 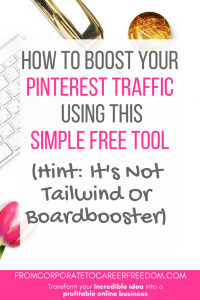 It’s very easy to start using this to boost your own Pinterest traffic. 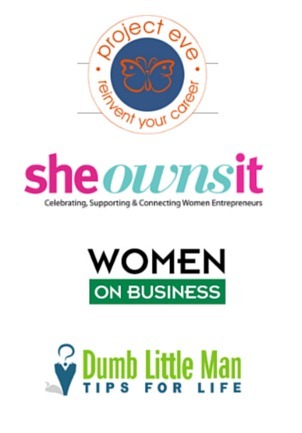 When you’re writing a blog post, start as you usually do with a brainstorm of titles for your post. Continue adding in any keywords you want to use to help you reach Google traffic. I then decided to tweak it and use the word “boost” which I think has a bit more power to it than simply “grow”. That tweak pushed the score up to 41%. Could I do better? Well, with some tweaks, I discovered that swapping the phrase “how you can” to “how to” gave the score a nice bump. So that’s where I left it – at 45%. The tool suggests a good headline should be above 30% so I would recommend you aim for that as a starting point, but I will be honest with you: my best posts have scores between 40%-50%. It is hard to get a headline scoring that, but sometimes it’s worth the trial and error until you find a winning title. Like with any good quality traffic strategy, results are not instantaneous. It takes Pinterest and Google time to send traffic your way as a reward for good content. When I revamped all my headlines on this site it took about 2-3 weeks to start seeing results, but I can tell you that since doing so, my traffic stats are up by 53% in just 3 weeks – I’ll take that! Firstly, keep experimenting – try different high score headlines on pins for a single blog post, and see which one does the best. The same goes for your pins. Experiment with different images, fonts and colors until you find a winning formula. Give it a month. In my experience it takes at least a month (usually more) to test a new pin and see how it’s performing. Make sure you are using good keywords in your Pinterest descriptions. Remember, this should be easy, because Pinterest gives you plenty of recommendations when you type a keyword into the search. Have plenty of high quality keywords in your pin description so Pinterest can find your content. 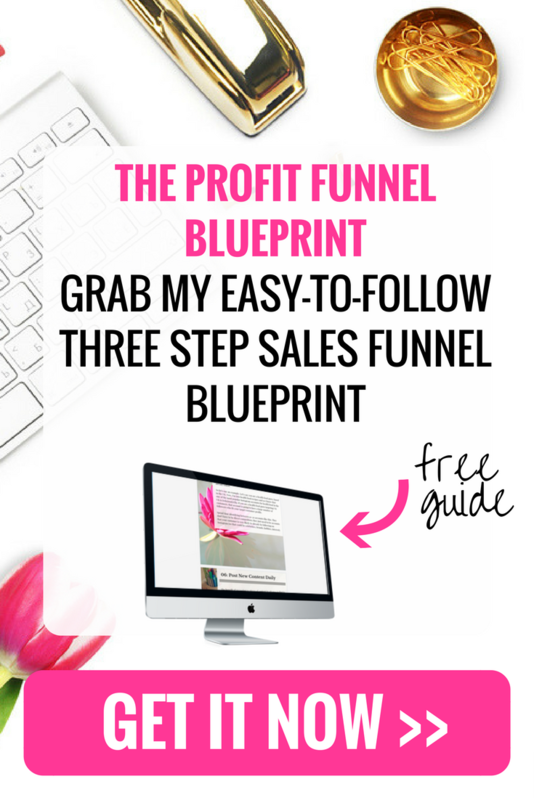 I’d love to know how you get on with this tool, so if you give it a try and get some nice results drop me a note in the comments below to tell me – I’m sure other readers will love hearing some success stories too! Also I tried repeatedly and couldn’t get your CommentLuv to work. Wow that’s interesting Louise – I’m going to do some cross testing on Coschedule! So so impressive article and the tool is really good. I just get a score of nearly 45 for my posted article on blogger but i just adjusted some words and now it reaches to 69. Its a really good tool with some very good features. Thanks a lot for sharing such a good article with great tool. It is really helpful.